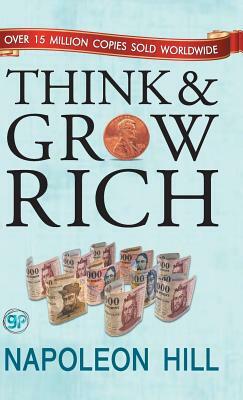 Think and Grow Rich' is the world's most widely acclaimed motivational book on success ever published. It became the must-have bible of prosperity and success for millions of readers since its initial publication in 1937. Napoleon Hill, America's most beloved motivational author, devoted 25 years to finding out how the wealthy became that way. After interviewing over 500 of the most affluent men and women of his time, he uncovered the secret to great wealth. By understanding and applying the thirteen simple steps that constitute Hill's formula, you can achieve your goals, change your life and join the ranks of the rich and successful. American born Napoleon Hill is considered to have influenced more people into success than any other person in history. He has been perhaps the most influential man in the area of personal success technique development, primarily through his classic book 'Think and Grow Rich' which has helped million of the people and has been important in the life of many successful people.